Done right, object-based audio such as Dolby Atmos can be the next best thing to being at a live performance. The only problem is that the cost of the equipment to reproduce it at home can cost tens of thousands of dollars. 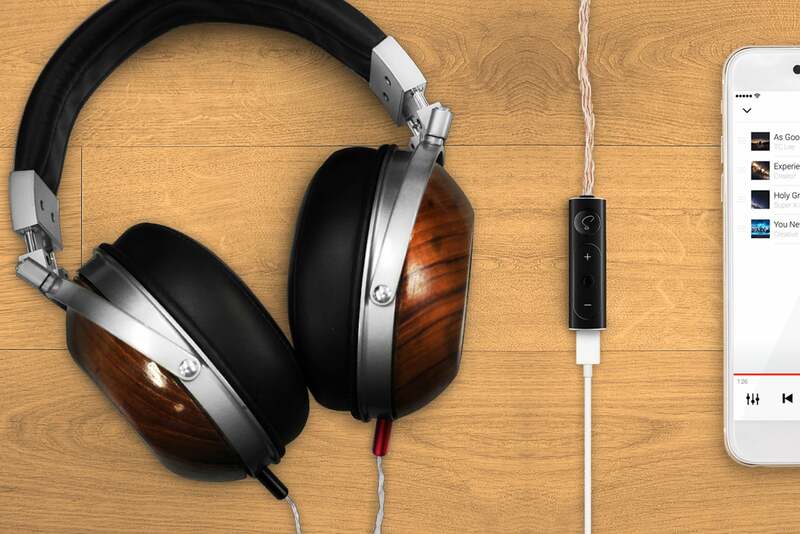 Creative says its Super X-Fi Headphone Audio Holography (how’s that for a mouthful?) can replicate the experience—positioning audio events in 3D space around your head—with headphones. But Creative’s technology isn’t limited to decoding object-based audio, it also works with stereo recordings. The technology relies on a smartphone app that captures a picture of each of your ears, so that it can essentially contour map your outer ear. Once you’ve digitized your ears, you take a photo of your face so the app can map the bone structure of your head for the same reason. 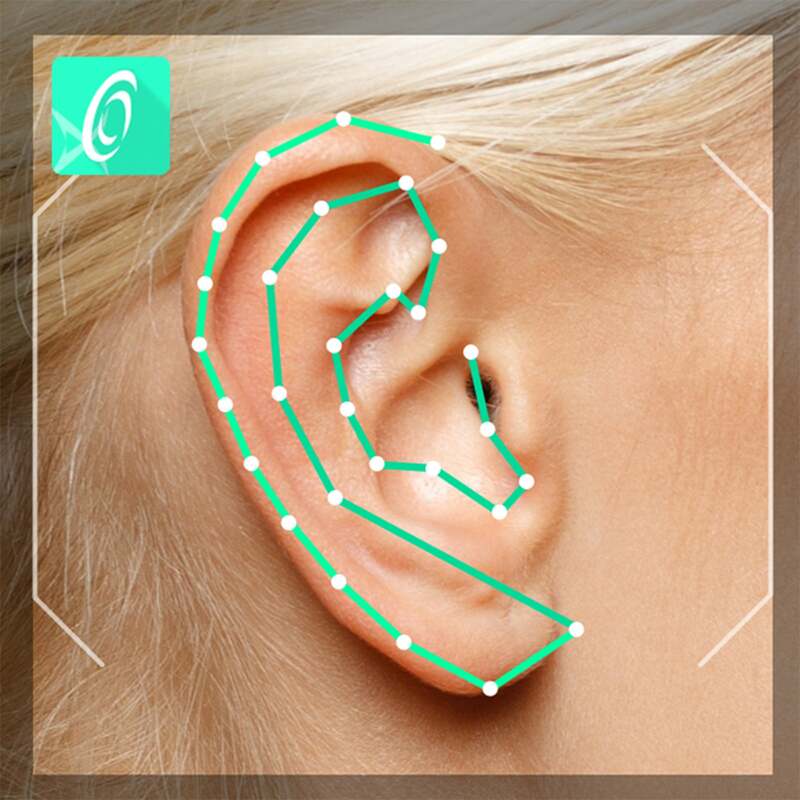 Creative's app contour-maps your ears and face to analyze how your ears hear sound. In the demo I sat for last night, the technology’s creator—Lee Teck Chee—said the software maps hundreds of anthropological features with high precision. An AI engine then synthesizes your features with both the dynamics of the headphones you indicate you’re using and a multi-dimensional map of room acoustics you want to emulate. The tech is still early, however, and this wasn’t the calibration process that I experienced. Instead, Chee had me put a pair of earbud-style microphones in my ears and then played a series of test tones to capture how my ears heard the sounds. The Super X-Fi Headphone Audio Holography will come to market first in three form factors: Integrated into a set of premium over-the-ear headphones; in over-the-ear and in-ear headphones, with tethered dongles housing the chipset; and a dongle that users can plug their own headphones into (Chee said the product works best with headphones that have discrete left and right inputs). When I inquired about driving multiple sets of headphones simultaneously in a home theater setting, Chee said the company was considering that, perhaps using HDMI instead of USB. Here’s what got me so excited about this product’s potential: Chee played a Dolby Atmos demo track over a high-end home theater surround-sound system that included ceiling-mounted speakers. He then asked me to don a pair of headphones plugged into the Super X-Fi (at this point, it’s essentially a circuit board in a plexiglass enclosure) and he played the same demo track. I could barely tell the difference, even when they had me go repeatedly switch between listening on headphones and listening to the room audio (a tilt sensor in the headphones performed the A/B switch). All the sensations of sound originating above, behind, and circling around my head were there, even though the headphones had just one driver in each ear cup. 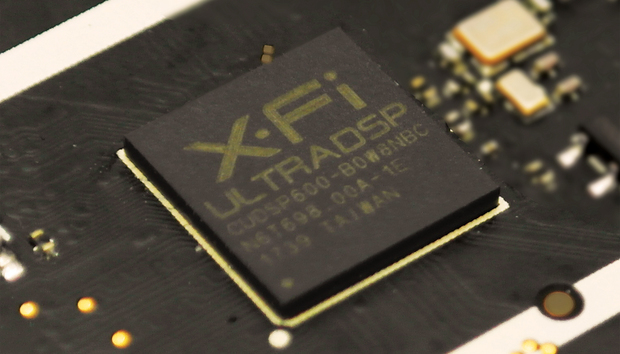 Super X-Fi will come in three form factors, including a USB dongle you can plug into a computer or smartphone. Chee next had me listen to an ordinary stereo recording, a track from Steely Dan’s Two Against Nature. The music had such an uncanny sense of presence that I felt like I was in the studio with the band while it was being recorded. The crack of the snare drum, the vocals, and the guitar sounded positively live. I did, however, think the bass faded just a bit too far into the Super X-fi’d mix. When I said as much to Chee, he said they thought the headphones they were using were too bass heavy, so they had dialed it back a bit in the DSP algorithm. “Perhaps we went too far,” he said. Creative says it will launch a crowd-funding campaign shortly after CES to bring Super X-Fi Headphone Audio Holography to market. As enthusiastic as I am about my experience, remember that my demo experience was very different from what Creative says consumers will experience in the real world. I'm looking forward to finding out if the retail product can live up to it.